Yes, President Trump really did say this and it sent visible shockwaves through the assembled U.N. audience as they sat listening to the president’s steely-eyed speech to them earlier today. It is a single line that is both so very powerful and important as it clearly contrasts the war between those who wish to save the United States against those who would see it devoured. 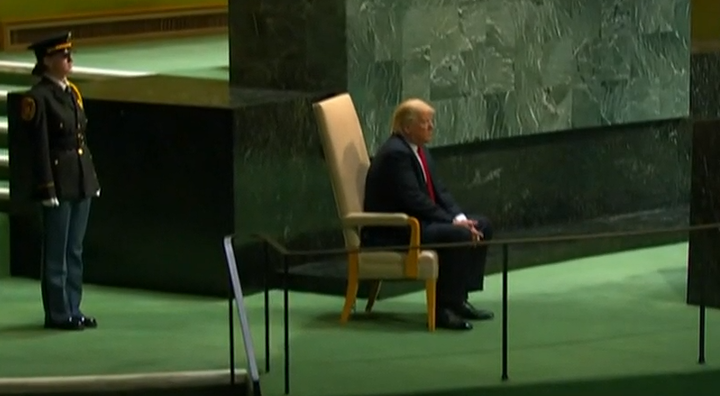 A photo of President Trump at the United Nations just moments before he gave the assembled body a speech which once again put America’s interests front and center and made clear no deviation from that position would be allowed, is now going viral. It shows the president seated, alone, contemplative, and very determined. He is in the den of lions and lies, seemingly alone, yet bolstered by the love and support of millions across the country he is so proud to serve and represent.